We are so glad you found us! We have been creating this website for the last several years. I’m the guy that took the message all for granted. I had safety meetings all the time. I was the boss and I didn’t listen to the meetings. 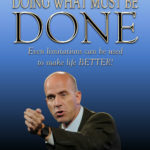 I am very passionate about doing more than our job requires. I want to engage, educate, and entertain on a weekly and monthly basis. It’s about going home at the end of the day safe and sound. It’s about being able to kiss your wife and spend quality time with your kids. It’s about the simple everyday things that make your life, your life. Until, of course, you find yourself involved in an accident. Your life as you know it, will never be the same. 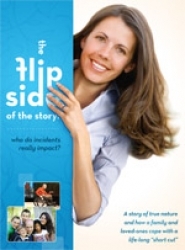 Chad experienced his accident in 2001 because he was in a hurry. He wanted to get home and see his youngest son take his first steps. You see accidents did not happen to him, they only happened to the other guy. Chad has been traveling around the world telling his story for over 10 years. 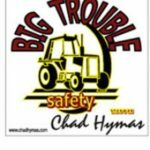 Throughout the years Chad has produced several safety videos, written three books, and has spoken to literally millions of people. 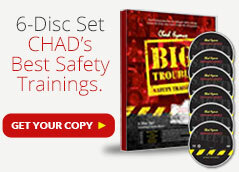 Chad is considered to be, by most, the worlds’ most effective safety speaker. 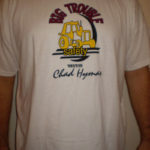 Chad is dedicated and passionately committed to getting his timeless message out to everyone. He knows the impact it has and he works tirelessly all year traveling worldwide. He realizes that timing, logistics and budgets have made it difficult for some companies to bring his message directly to them. He is so excited because now he can reach so many more people with his new program Roll With Safety. He knows the more people he can touch the safer our workplaces and homes will become. For him that is what is most important. 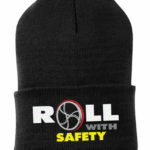 Now you can have Chad streaming live at your company with the Roll With Safety Program. He will customize his message directly to meet your individual needs and work with you to have the time he spends with you make a powerful and lasting impact.